Big triumphs are often followed by bigger letdowns. 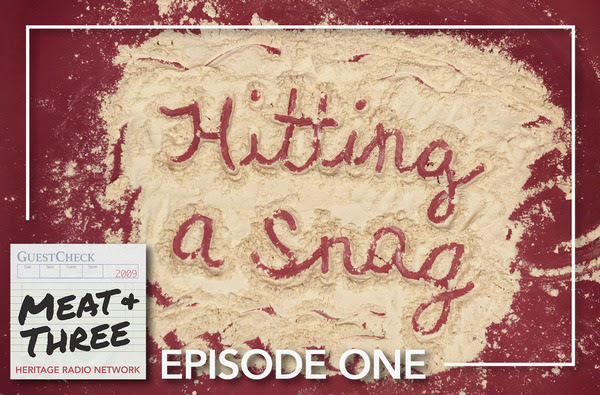 Our series premiere is about hitting a snag. Vallery Lomas won season four of The Great American Baking Show, but her season never aired due to sexual misconduct allegations against one of the show’s judges, Johnny Iuzzini. Mikkel Borg Bjergsø was once a champion runner. After opening his brewery, Mikkeller, he found the steady supply of beer had a negative effect on his stamina. The solution to his problem became a world-wide phenomenon. Alison Roman released her acclaimed cookbook, Dining In, in October 2017. When her recipe for Salted Chocolate Chunk Shortbread Cookies went viral, she became their Instagram “stage mom” and had to learn to deal with some unexpected haters. Finally, one of the biggest triumphs for NYC Mayor Bill de Blasio was the installation of universal free lunch for all public school students. While City Hall celebrated, workers in lunch rooms across the city faced the realization that they would soon be understaffed and overworked. About the episode art: this week, we found ourselves inspired by not one, but two expert bakers! We decided to write our episode title in flour, and luckily for us, our flagship sponsor, Bob’s Red Mill, has plenty of great flours to choose from.